Why do the self drive with rental car in Japan? Freedom to explore anywhere and anytime. Do any impromptu stop and visit the places local go and shop. Driving is not difficult in Japan at all if you can manage Malaysia and Singapore road trip as most Japanese drivers and pedestrians are well-behaved and follow the rules like the ‘sheep’. Enjoy more privacy – Having family bonding time with 3 generations together in the car, if you have grandparents and young children on the road trip. You don’t have to worry grandparents and young children can’t cope with the fast pace of the big group tour as this is your own private tour with car rental. Enjoy more comfort – No need to carry your big luggage up and down stairs in the train station if you drive a rental car. Enjoy more option where to stay – You can choose to stay in the hotel that is far away from the city with cheaper price but offer better values, eg with mountain view and luxury onsen/hot springs facilities & big space in the room (you don’t even realize you are actually in Japan as Japan city hotel is usually very small). You don’t have to choose to stay near the train station as the hotel in the train station is usually very narrow and small. Cost saving with pax of 2 and above. Of course, if you have a pax of 5, you will enjoy the most value from renting a car. Japan is one of the best destinations to do self-drive in Asia. We like to self-drive within Japan outskirt cities, driving within major big cities is not recommended due to the heavy traffic and extremely narrow roads. Most signs are posted in “Romaji”- in English which is readable for the foreigner. If you read Kanji/Chinese Character, you have the advantage of reading both in the signboard. I strongly recommend getting in a car and driving around the outskirt of Japan, this is the way to see the beautiful “inaka”/countryside of Japan. It is also more economical than buying expensive “shinkansen”/bullet train tickets or normal train tickets if you have pax of 4. Furthermore, taxi cost a bomb in Japan. Our rental car with 1500-1800cc cost about SGD$ 100 per day including insurance protection. Please use Rentalcars.com to choose your favorite car. If you book car rental online, it is important for you to print out a hard copy of the insurance protection you have paid for. That way, the staff in the car rental will not ask you to purchase again. Some car rental insists you purchase car insurance even you have told them you have already purchased online because they don’t believe you have already done as they can’t see it from their system. (We experience that in Japan & UK). Rentalcars.com is an online agent not the car rental company, just like Agoda is an online agent for hotels booking. Remember to print out the copy to show them as proof. Or you can opt out for car protection insurance when you book online but make sure you purchase with the staff when you pick up the car. Either way is ok. The key is to have car protection insurance and also don’t need to purchase twice. An international driving permit is needed, do apply from your home country before departure. Click the above link to see how to apply for an international driving permit if you are in Singapore. Takayama Ramen (Takayama Prefecture) – Common toppings for Takayama ramen include char siu pork, bamboo shoots, and scallions. Hida Beef (Hida)- High-quality breed of wagyu black-haired cattle raised in Gifu, tender and juicy. Tatami Iwashi (Tokai )- A thin, cracker-like sheet of baby sardines that has been sun-dried, cut into smaller pieces. Good to have it with beer or sake. Unagi/Eel (Shizuoka Prefecture) – Una ju or Unadon roasted eel on top of rice. Miso-katsu (Aichi Prefecture) – Crispy fried tonkatsu with miso paste. Houtou (Yamanashi Prefecture) – Wheat flour noodles cooked with pumpkin or other vegetables in miso soup. Noodle is wider and flatter than regular noodles. On the first day when we arrived in Nagoya Airport, we picked up the rental car then drove straight to Togokusan Fruit Park, away from the city area to avoid traffic. We didn’t even drive into Nagoya city as you know city area is always full of traffic. 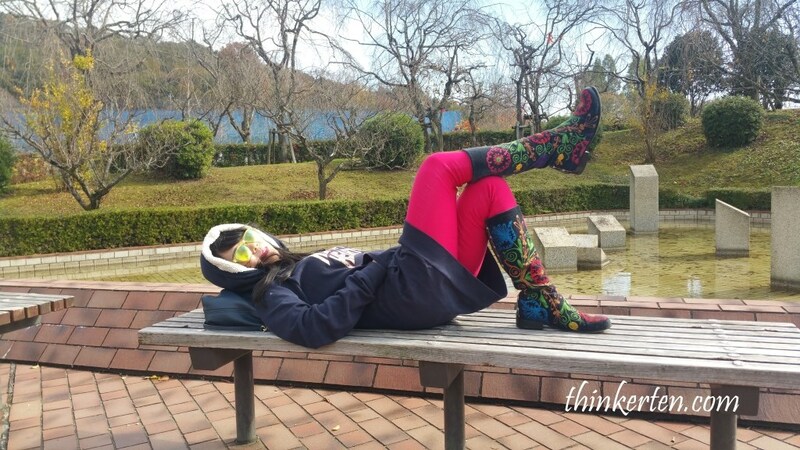 Togokusan Fruit Park is a nice fruit farm which has 15 orchards and 15 types of fruits. Depend on which season you choose and there are always different kind of fruits waiting for you there. Do join the fruit picking activities offered in the park. Magome/馬籠 is a small post town which served travelers connecting the major route from Tokyo and Kyoto in the Edo period, 300-400 years ago. The town or I should say the village is built uphill and very pleasant to walk up to check on the photogenic view. There are plenty of eateries and souvenirs where you could enjoy along the way. Takayama/高山 as the name suggest is a city in the mountain area in Gifu Prefecture. 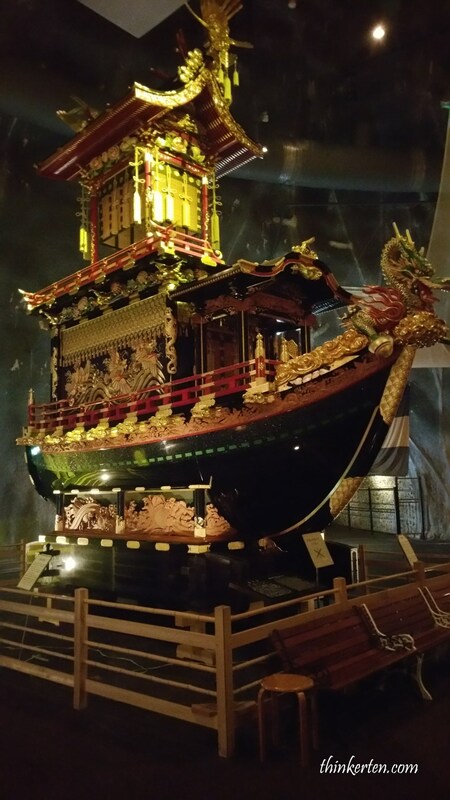 There are a few things you could do in this town, one is the old town and the other you may want to explore is the Takayama Yatai Kaikan which is used for festivals. In the Takayama Yatai Kaikan, you learn a lot of different floats used in the Japanese ‘Matsuri’/festivals. Takayama is best known for their festival in the whole of Japan. Before we left Takayama city, we went to check out the Nakabashi Bridge, the well-known RED bridge also symbol of Takayama. Strongly recommended to pay a little visit and take some photos with the RED bridge as it is very picturesque, especially during cherry blossom season. 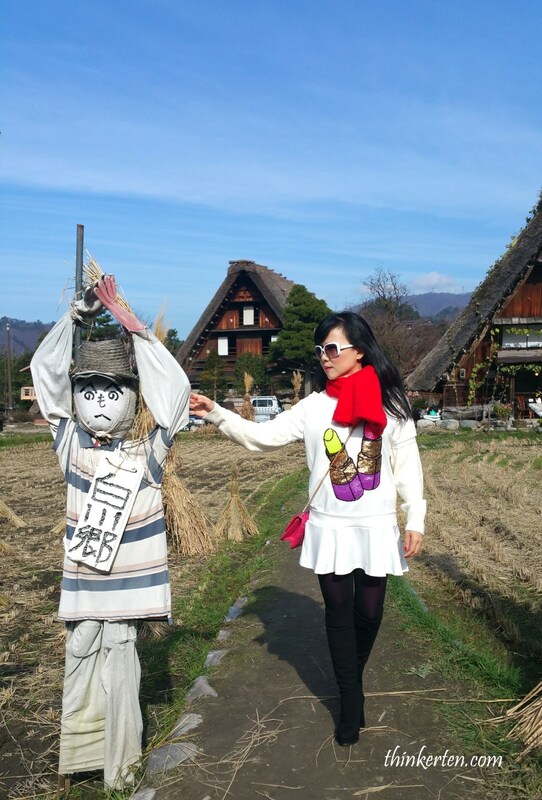 Shirakawa Go/ 白川郷 is one of the highlights in Central Japan once this village has obtained the Unesco World Heritage. The view is stunning especially in the winter as the whole village is cover in snow. I don’t like winter so choose a warmer season to go. It is really up to you. Kurobe Alpine Route is the unique and interesting route which you will experience different means of transportation. You need a whole day to do Kurobe Alpine route and you will be in the cable cars, trolley buses and ropeway. No doubt, stunning view along the way. The best time to see snow walls is by early spring mid-April to May. I was here in November so there are no snow walls (too bad) and a certain period is closed and visitors are not able to go up. Do check out the availability. When you are in Matsumoto city, the one thing you need to check out is the Matsumoto Castle. And if you know Yayoi Kusama, the polka dots artists then you may want to visit some of her work in the Art Museum in Matsumoto city. Matsumoto city is Yayoi Kusama’s hometown. It was a raining day so I went to the Art Museum and glad it did not disappoint me at all. You can see Mt Fuji from almost everywhere, even in Central Japan. You can include Yamanaka Lake then choose to stay in Mt Fuji Hotel in Yamanashi, the view is stunning as you get to see the unblocked view of Mt Fuji from the balcony of your hotel room. Hakone is not in Central Japan but in Kanagawa Prefecture, quite near to Tokyo, only slightly more than an hour away from Tokyo. 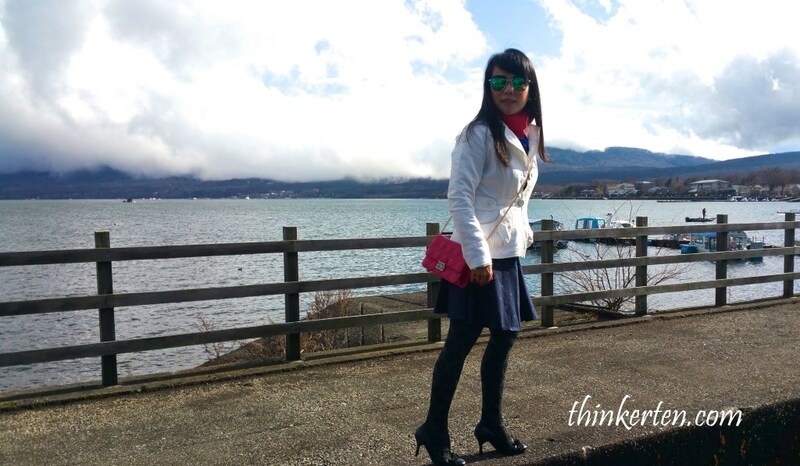 Hakone is famous for its hot springs and you are still able to see Mt Fuji from here. 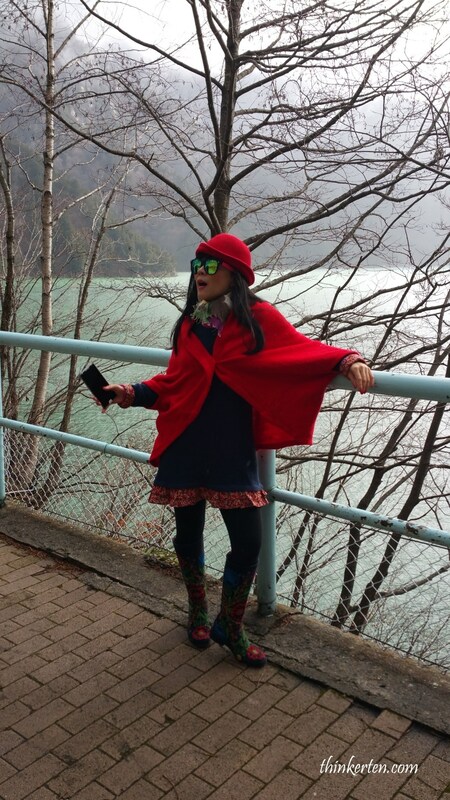 There are several things to do in Hakone and we choose to do a train ride to Odawara. 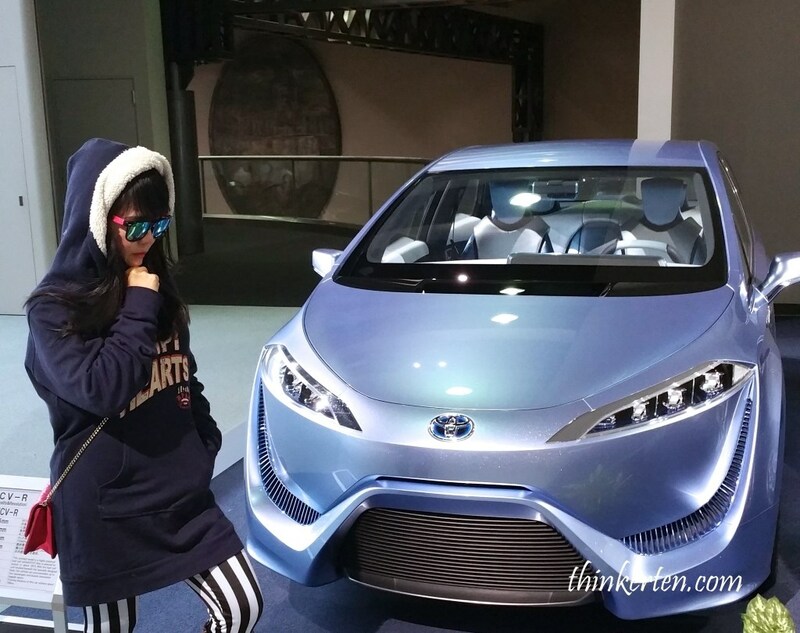 If you love cars, then the Toyota Museum is the place to spend for a few hours. In this huge museum, you are not only seeing Toyota cars from vintage to modern, but you also see all the fun and sporty cars from manufacturers around the world. 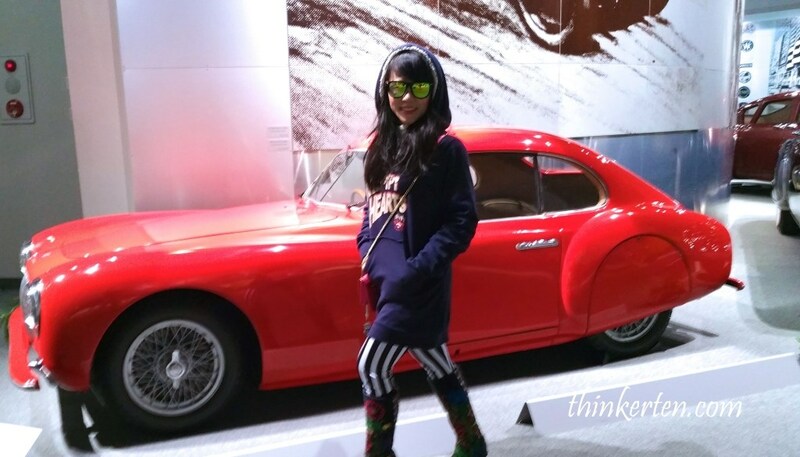 I am not really into cars but I have to be honest, I enjoy this car museum so much! Total spent for 3 pax for 9 days 8 nights in Central Japan: SGD $6700 so SGD$2300 per pax. This is only my budget and it works as a guideline for you. It really depends on what kind of hotel you stay in. If you choose to stay in Airbnb (click on my Airbnb link to get discount) which can accommodate with more people and prepare your own breakfast & dinner, you can save quite a bit too. Most of my hotel stay in the Central Region are with luxury onsen/hot springs so the prices of the hotel cost a little more. If you choose a hotel without onsen/hot spring, the price can be even lower. Another way to save money is you may want to get your breakfast in the convenient store such as “Lawson” or “7 Eleven” which can be found almost every 500m and open 24 hours. Food in the convenience store are cheap and affordable and plenty of variety to choose from. Please check out their bento set, Oden & Japanese dessert in the convenient stores. “Family restaurant” is casual dining in Japan which has a free parking area and food are cheap and in a bigger portion. Some of the famous chains are called Royal Host, Denny’s, Joyful, Gusto and many more. The family restaurant usually serves a combination of Japanese & Western cuisine & Chinese. Don’t hesitate to drive in and try out their meal in the Japanese “Family Restaurant” as it provides a good value meal. I have affiliate program with the following booking website, so please click at your preference booking website here to check the hotels or airbnb you like to stay for your Japan Central Region/Chubu trip. This is so awesome! I believe that to get to know a place, it’s better to drive around it… you see way more. I also like to see smaller towns that show the culture than big cities full of tourists. Road trip and self drive will enable to discover many hidden gems! Wow! This is a beautiful place. What an exciting adventure! Road trips are the best. They give you the opportunity to really see and experience the various places. You look like you had a wonderful time. Now more and more people started to drive in Japan with the help of technologies such as google map, we won’t easily get lost. Even if we do, we can also ask google translator to help us to ask around to the local. It looks like you had a great time, I love a road trip where you can drive yourself, the freedom is second to none. Yes, one thing with self drive on road trip is freedom to explore anywhere and stop anywhere you wish. At least you don’t have to run to catch the train or buses. Catching the train with big luggage can be very challenging as some of the train station in Japan do not have lift up and down the station. Love your photos! 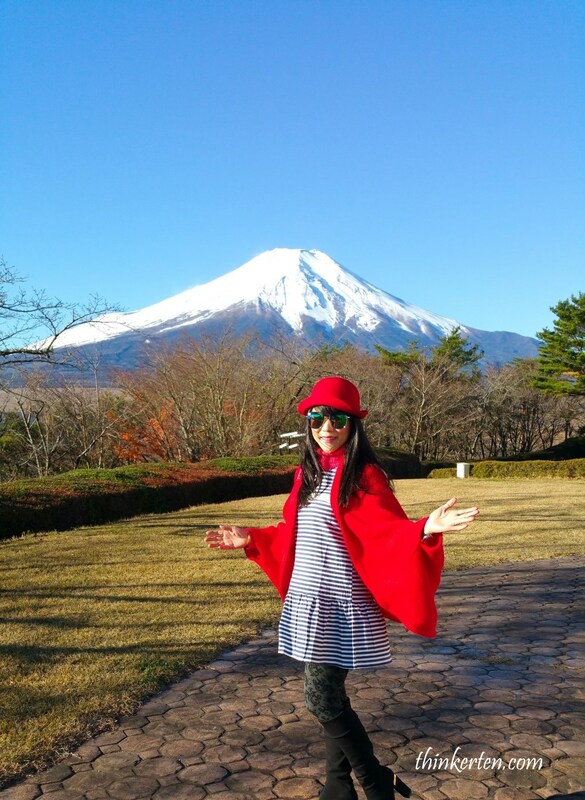 The scenery (and your outfits) are so beautiful! Japan is on my bucket list, and I hope to be able to visit someday! Thanks for your comment. Japan is a beautiful country, it is clean and full of traditional elements in most of the old town. The shopping is greet fun too. It looks like you had an amazing itinerary. I will surely add this to my bucket lists it looks so exciting. 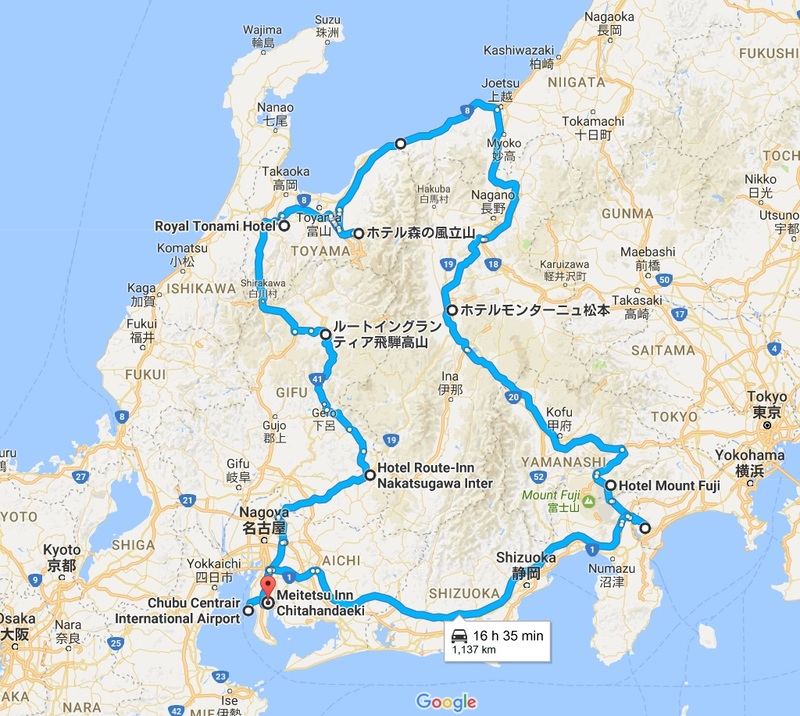 Central Japan is a great place to do a road trip with rental car, there are not many traffic compared to big cities like Osaka and Tokyo area. If you have family with young children and grandparents, this is truly a highly recommended way to see Japan. All sit in the car rental and enjoy great bonding while sightseeing Central Japan. And , the most important thing is, cost saving. Glad to hear that you are doing a raod trip soon and I hope you have a great time too. Road trips can be so fun, too! What a great way to see more of a country and on your schedule, too! I totally agree! We can choose our own schedule and do any impromptu stop at any scenic area along the way. The road trip in Central Japan is really beautiful, especially places where you can see the iconic Mt Fuji. 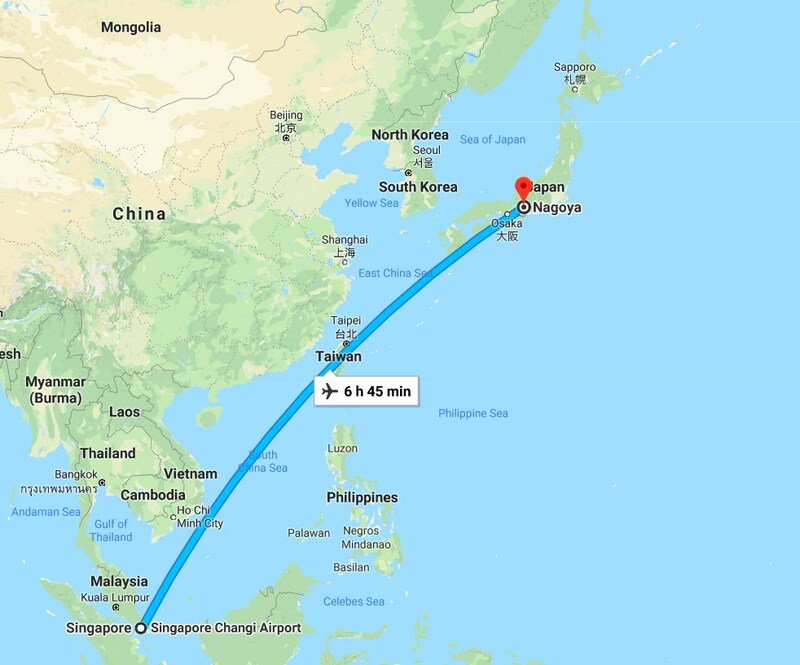 Wow, I’ve never been to Japan and I will definitely need to learn driving before I can think of a roadtrip. But Japan definitely seems like a great place to start with! I love a road trip, it is probably the best way to visit and enjoy the beauty of any place. I am glad that you had a great time! 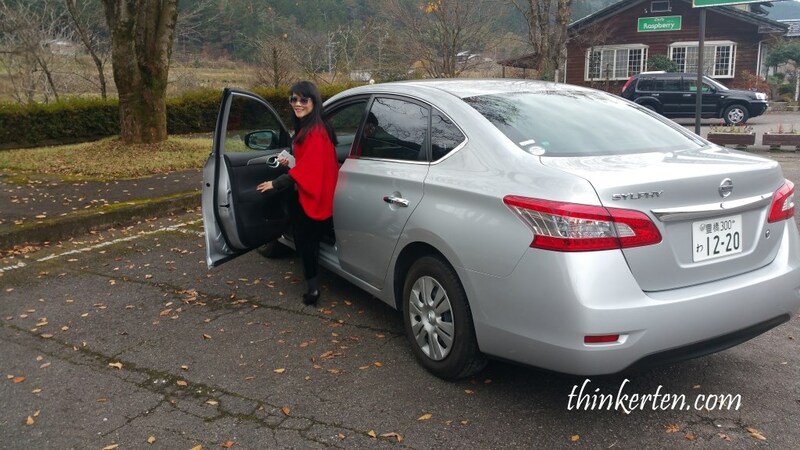 You are right, self drive on the road trip is one of the best way to explore Central Japan. You have the freedom to go anywhere you like and stop anytime you feel like.